You know what's always in? Denim. Throw it on with a tee, a shirt — hell, even denim — it just... Works. 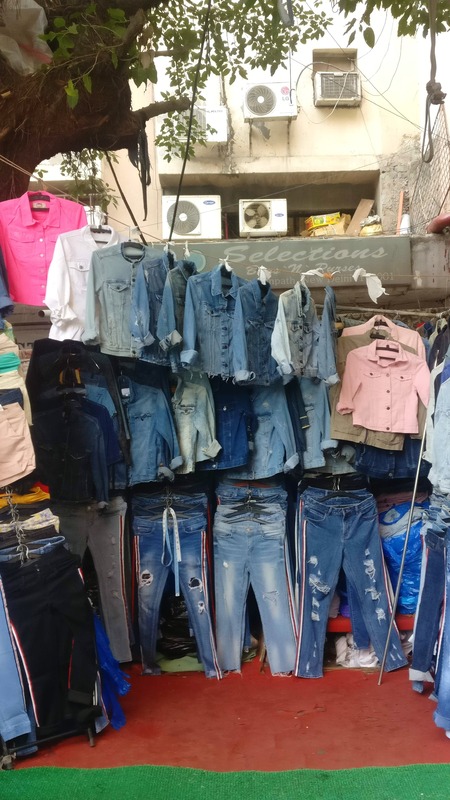 And if you're on the same love-denim-frequency as us, you'll want to check out this street stall in Janpath Market that'll make all your denim dreams come true. The shop number is M-25 and it's on the left side (on the Depaul's side). You'll actually just spot it thanks to the denim jackets, shirts, and jeans hanging out. They've got different colors — mainly shades of blue — and have stuff for both men and women. You could get a denim jacket here for as low as INR 700. A steal, we say. Run along? You'll find us there. Since it's a street stall, you might not find the perfect size, but hey, it's worth a shot!